Compliment any fabric backdrop with a single- or double-sided all-fabric EZ Fab Display. It’s the EZ Tube Displays’ banner stand cousins. From 2ft to 5ft wide, 6ft to 12ft tall, go way wide and way up. 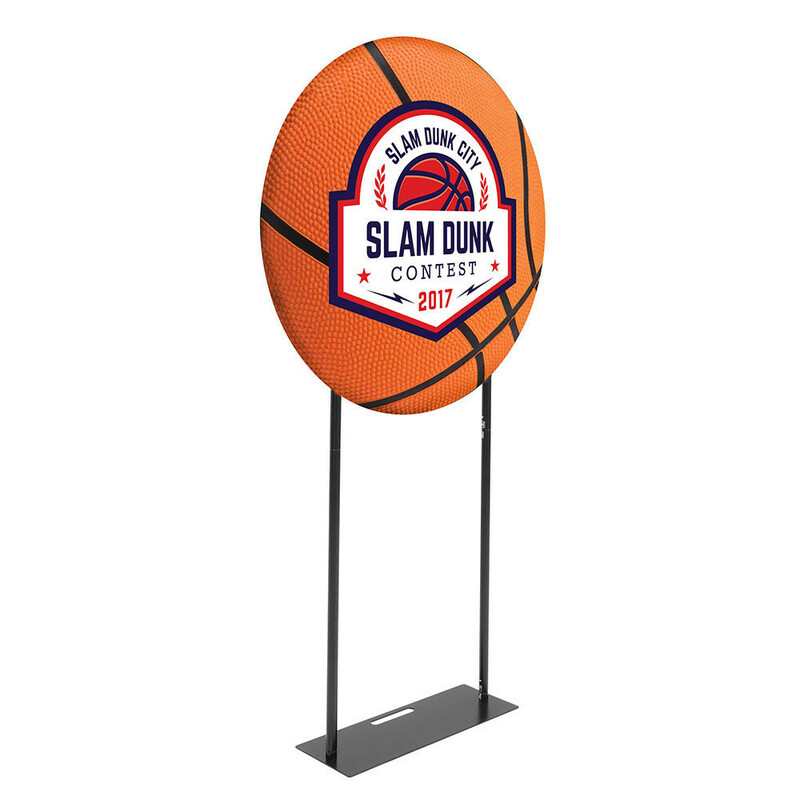 Get a more vibrant, cleaner look than you will with any retractable banner stand. *Check out the new ROUND units. 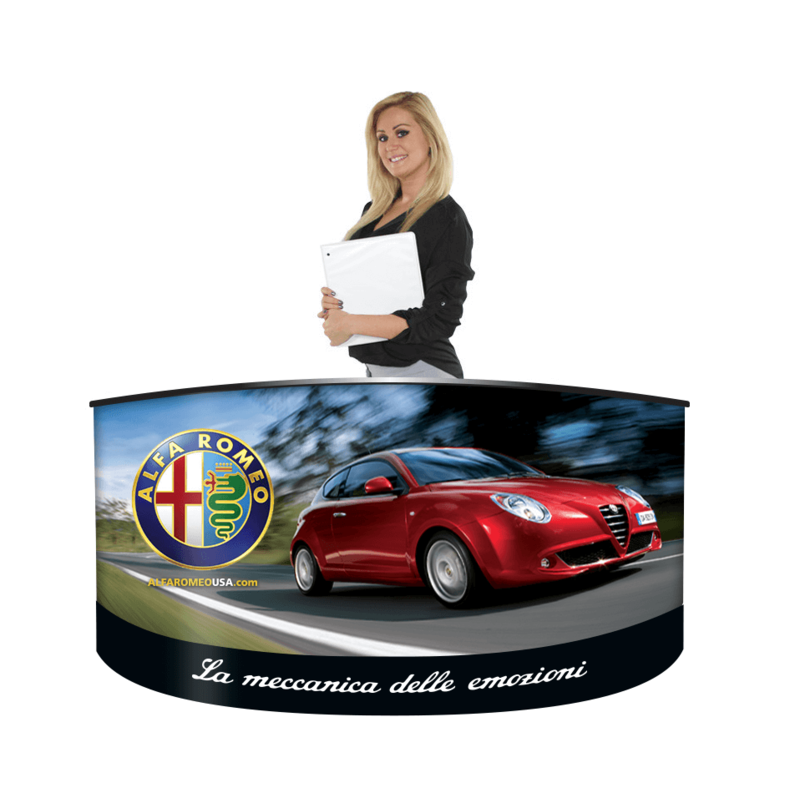 Fabric display stands offer a modern appearance and materials that let the colors of your brand identity shine brightly. 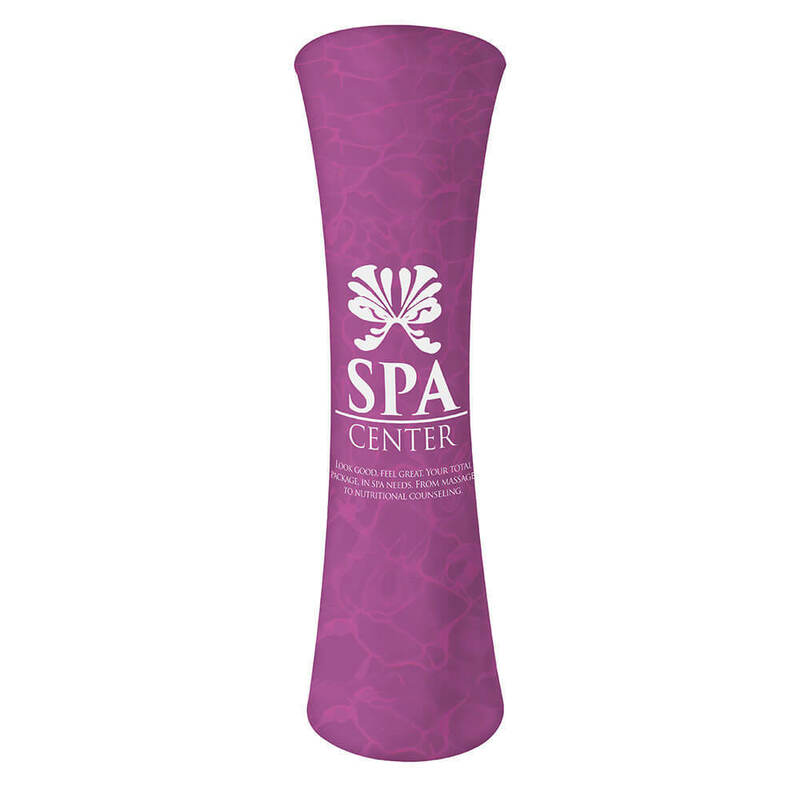 With the right design, your brand can make an impact in a small space. No minimum orders and no catch: Listed prices include frame hardware & print. Lighting options available.